In its larger and juster meaning, it embraces every thing to which a man may attach a value and have a right; and which leaves to every one else the like advantage. In the former sense, a man’s land, or merchandise, or money is called his property. In the latter sense, a man has property in his opinions and the free communication of them. He has a property of peculiar value in his religious opinions, and in the profession and practice dictated by them. He has a property very dear to him in the safety and liberty of his person. Author: Mark Grannis. 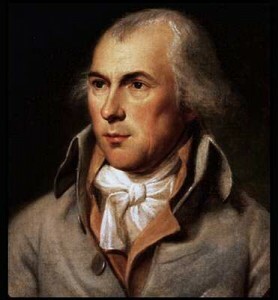 This entry was posted in Liberty QOTD and tagged Essay on Property, government, impartiality, James Madison, justice, National Gazette, property.